Why Integrate Your E-Commerce Website With a B2B Order Management System? Home Business Management Why Integrate Your E-Commerce Website With a B2B Order Management System? Regardless of the size of their business, whenever you meet any e-retailer, they will tell you more about how tedious it becomes to place supply entries manually into spreadsheets. It is true, there is nothing more time consuming than entering all the sales values, placing new entries and modifying quantities when the stock in the business runs out. Unfortunately, most e-commerce owners become victims of long paperwork hours and manual entering of data, which causes inconvenience and trouble hindering the workflow. 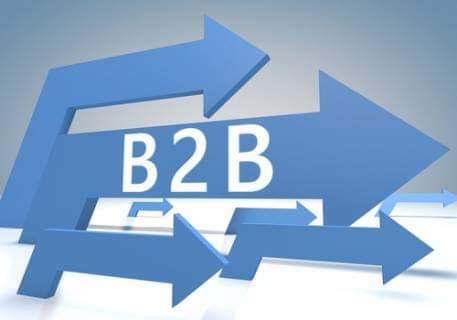 Whether it is placing orders, taking orders, managing inventory, or order tracking across various sales channels, every store, warehouse or business needs to use a B2B order management system to streamline the entire ordering processes. Keep in mind that manual processing is quite risky, and it can leave a window for possible errors, which can affect your business greatly. This is why, you need to consider automating processes, which is essential for suppliers as well as retailers who wish to streamline their business operations. When you use an order management system (OMS) in your business, this works wonders to smoothen out ordering of services and goods, making the entire process a breeze. It makes it easier to track inventory, keep the vendor details in check, automates stock delivers, refines orders based on the demand of customers, and brings innovative solutions to the businesses that operate in different channels. Once you choose a suitable provider, such as OrderCircle, this will prove to be a worthwhile choice. How Does an Order Management System Work? For any business, time plays a major role, and most retailers find it difficult to meet up with all the deadlines if they have to follow a manual process. The truth is that for most e-commerce businesses, it is a challenge to meet up with the order delivery standards of Amazon. Hence, they turn to the best solutions to ensure on time delivery of goods. Order management systems available today can integrate easily with websites, and let you keep a check on the orders. You can track the shipments; have separate tracking numbers for each product and customer, which should enable better tracking of orders throughout the fulfilment process. Furthermore, shipping integration saves time from the task of tracking invoices and labels. It generates labels with the address and the name of the customer. Helps to maintain consistency in bulk orders, and saves time. In e-commerce businesses, there is often an unexpected rise in the orders, as well as the time it takes to receive the order and process it. Any delay prevents timely delivery of orders, and new order placements. Eventually, this brings about a lag between relevant stock changes, and order placement entering into the business. Unsynchronized inventory will always make it difficult to manage the orders, and refunds will be due because of the constant changes in the stock. So many customers value the wholesale-related assistance during the ordering process, whereas others find this inefficient. In a typical situation, B2B customers wish to know more about the products that they need to purchase, along with the amount they need. In many cases, wholesale suppliers want the ordering process to move effectively. Online ordering through an inventory management software will make it better and possible for customers to access their inventory at the same time, quickly. It will free the need to contact the customer’s support team frequently when the need for assistance comes. From business marketing, to serving the needs of clients and monitoring warehouses, retailers can work well with tight schedules and at the same time meet with the demands of their customers. Sales representatives and others in the business can also benefit from accurate sales insights. One of the greatest features of an order management system is that the sales reps can get detailed order histories easily, which should enable them to get a good understanding of theirs customers, as well as the precise products they are searching for in the inventory. Furthermore, having more data on the sales at hand helps them to make the best decisions when it comes to providing the prices, offers, and other discounts or promotions to clients. Automation in the business leaves no chance for possible errors, and this could lead to better operations in the business. A B2B order management system is the perfect system for most businesses out there that need to deal with different storefronts. Rest assured that an OMS integration will aid in swift processing of orders, maintain stock levels, staff accounts, improve invoices, sales, shipment tracking, and cuts down the need for manual work. It reduces the chances of human errors and boosts the growth of businesses.